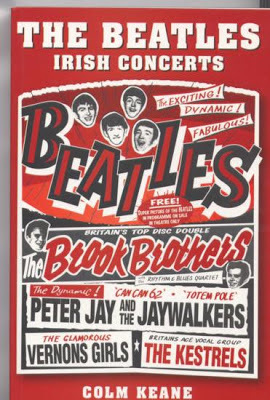 I have to talk about a book that's close to my heart for no other reason than the fact I am an Irish fan of The Beatles. This is the story of the time Beatlemania hit Ireland in November 1963, when the group played two shows on our shores, at the Adelphi in Dublin and the ABC Ritz in Belfast, followed in 1964 by King's Hall in Belfast. There are interviews with the teenage Beatles fans who were there - all now well into their sixties, with children and grandchildren. There are also interviews with George Harrison's Irish cousins, who met their famous relative when he stopped by on that first visit in 1963. Whether you're Irish or not, it's still a highly enjoyable book to read if you simply love The Beatles.